We welcome this guest post by John Coupar! Wow! 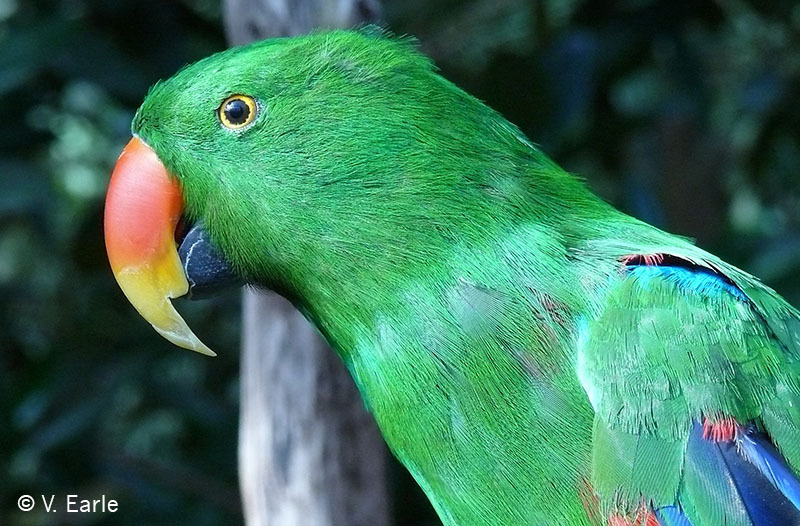 What a year for Friends of the Bloedel and the Bloedel Conservatory! 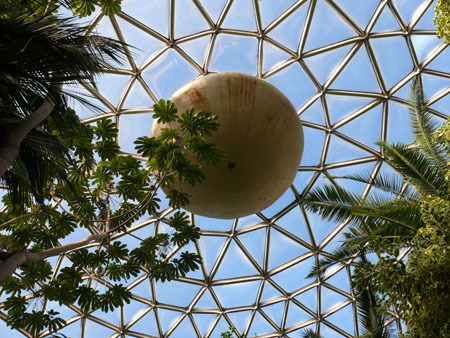 At the end of December last year we were faced with a determined Park Board and City Council which had cut the funding for our beloved Bloedel Conservatory. 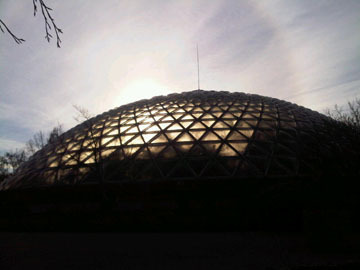 The future looked very grim indeed with the dome facing an eminent closure date of March 1, 2010. However, our hastily formed group Friends of the Bloedel and our founding Directors Sheryl Hamilton, Vicky Earle, Terri Clark, Tom Hobbs and myself were just beginning to fight. 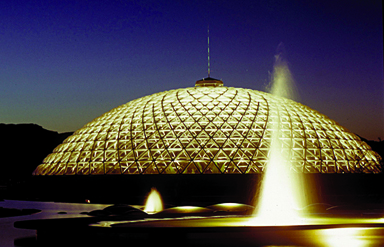 There was the realization that much of Vancouver’s incredible beauty is a result of the great horticultural tradition of the Vancouver Park Board. It is our cherished green spaces, parks and gardens that differentiates Vancouver’s look and feel from other cities. This did not happen by accident. It was a result of careful planning and true vision. To lose a piece of this beautiful legacy would have been a great tragedy. Eventually, through sheer determination and a collaborative effort in conjunction with VanDusen Botanical Garden Association, the Park Board gave us unanimous support to keep this Architectural, Horticultural, Natural green jewel at the pinnacle of our great city open. The synergy between VanDusen Botanical Garden, the Vancouver Park Board and the shared vision of horticultural and curatorial excellence needs to be nurtured and protected. This year will bring us many challenges as we continue our work to enhance and reinvigorate the Bloedel. We have many more events planned, and I am counting on the continued support of the citizens of Vancouver and British Columbia to help as move into the next phase of our efforts. 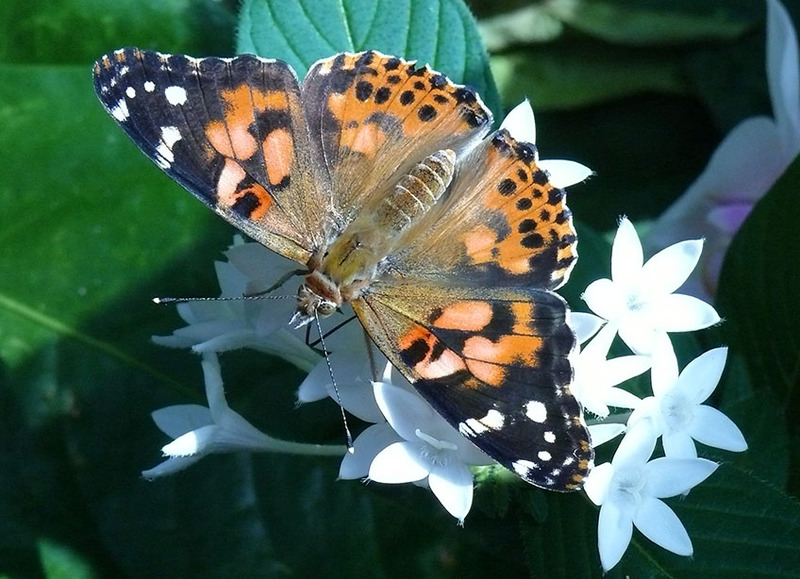 Donations can be sent to the VanDusen Botanical Garden Association (please mark on cheque “for Bloedel Committee”) and see link below for further info. The Hottest Attraction in Town?? 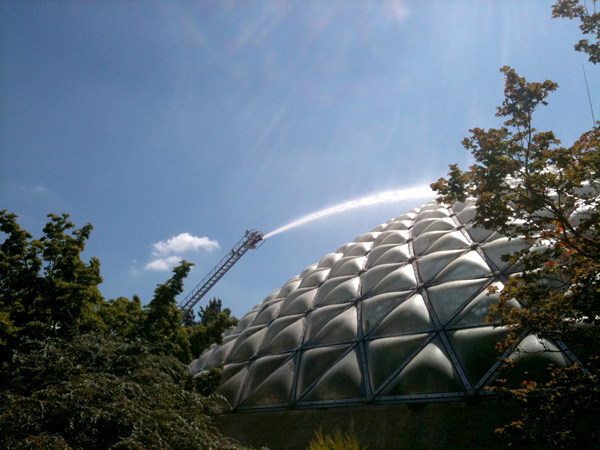 This past week the power outages in south Vancouver gave rise to some creative problem solving at the Bloedel Floral Conservatory by QE Park Supervisor Alex Downie. 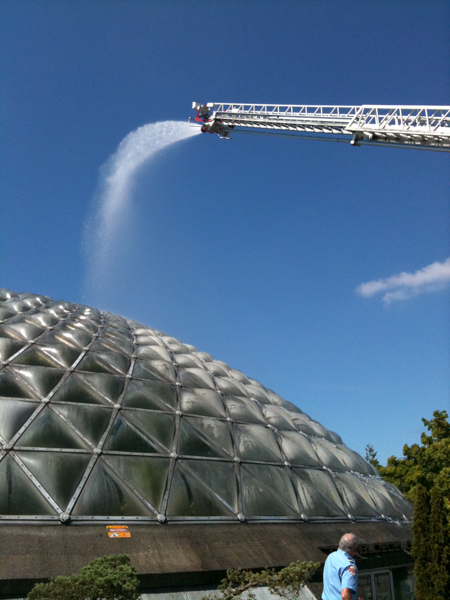 Because of its location at the very top of QE Park, one of the hottest days of summer gave considerable concern for all the living plants and birds inside this giant glasshouse. 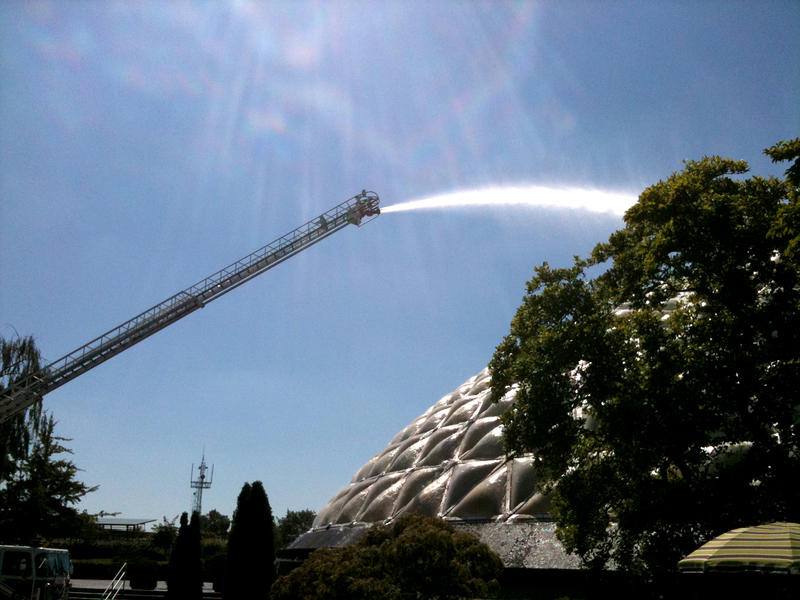 The Vancouver Fire Department came to the rescue by hosing a cascade of cold water on the dome which brought the temp down to a reasonable level until the power returned. 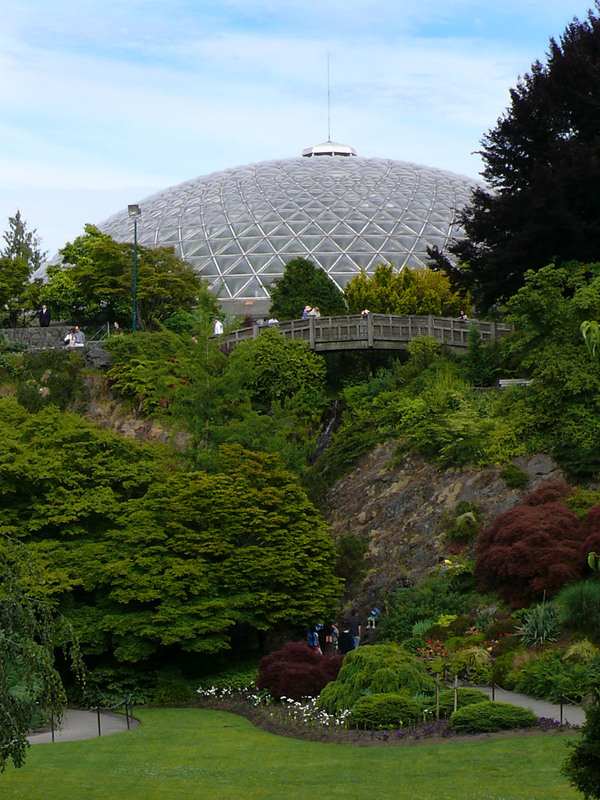 The proposal to save Bloedel Conservatory will hopefully be officially approved on September 20th by the Park Board. We like being the Hottest Attraction in town, but not quite so literally! 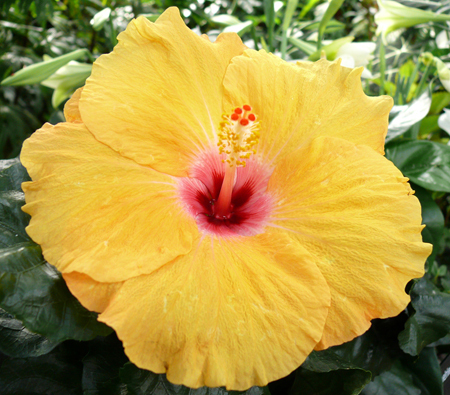 We are postponing Garden Fever, a silent auction to support the Bloedel Floral Conservatory that was set to take place Thursday June 24th, until early fall. 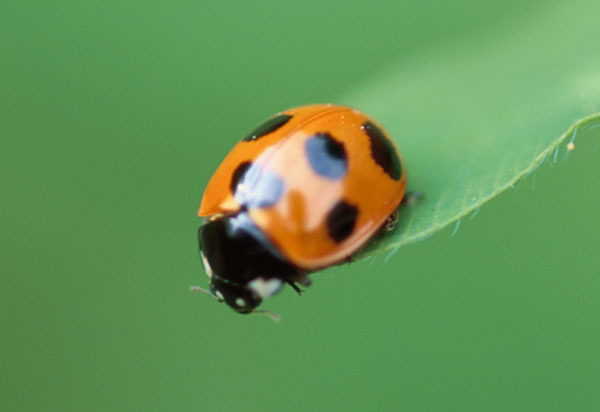 We thought we’d be a lot further along in the Expression of Interest process to save our green oasis and have some announcements to make at Garden Fever, but things are moving a bit slower we thought. Tickets already purchased for the event will be refunded and those bought on credit card will not be processed. We have some marvelous silent auction items that will keep just fine until our next event, so stayed tuned and we look forward to seeing you then!